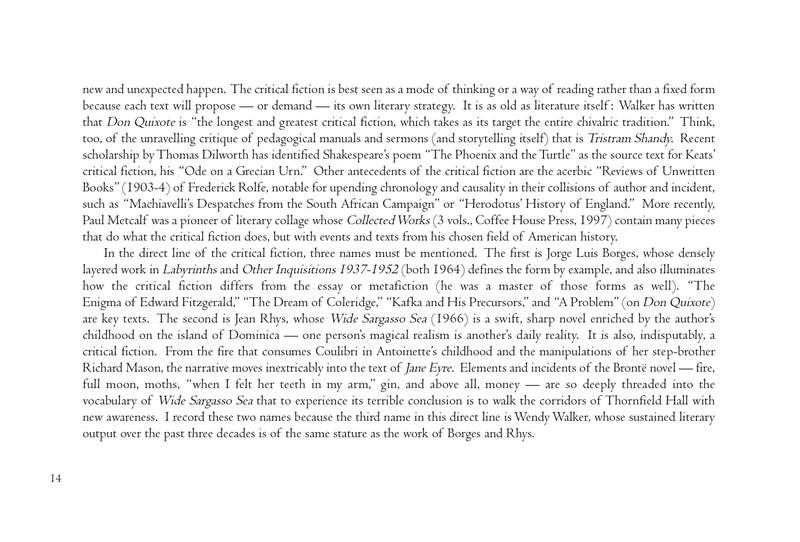 The Critical Fiction Symposium, held at the Grolier Club in New York City last night, was a success on all counts. 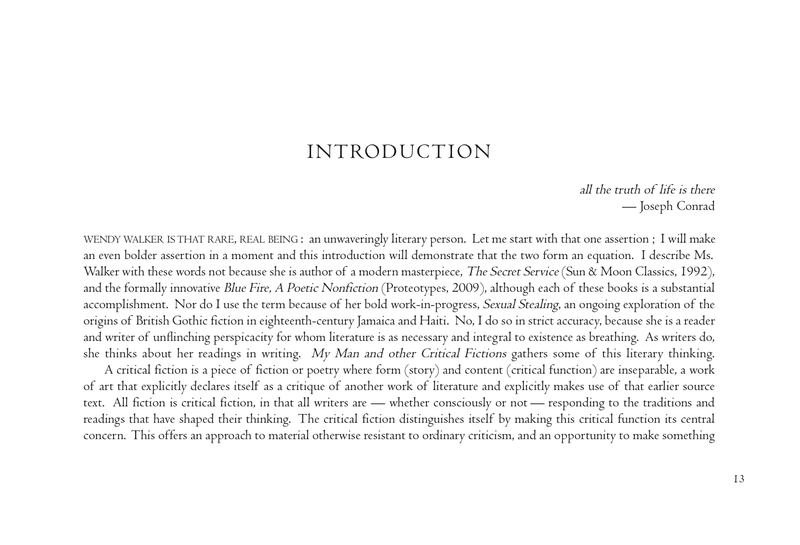 Wendy Walker’s book, MY MAN AND OTHER CRITICAL FICTIONS was published and the beautiful subscribers issue was also on view. An engaged and intelligent audience of approximately 35 to 40 people gathered to see WENDY WALKER, RON JANSSEN, JENNIFER NELSON, JOHN CROWLEY, and HENRY WESSELLS discuss the critical fiction mode, with numerous examples mentioned in the course of the conversation. An audio recording of the Symposium is available for listening here (1 hr. 12 mins.) through the courtesy of P. Richardson. There were many interesting aphorisms and exchanges; your correspondent cites a few now and will add to this list as other sections are transcribed. 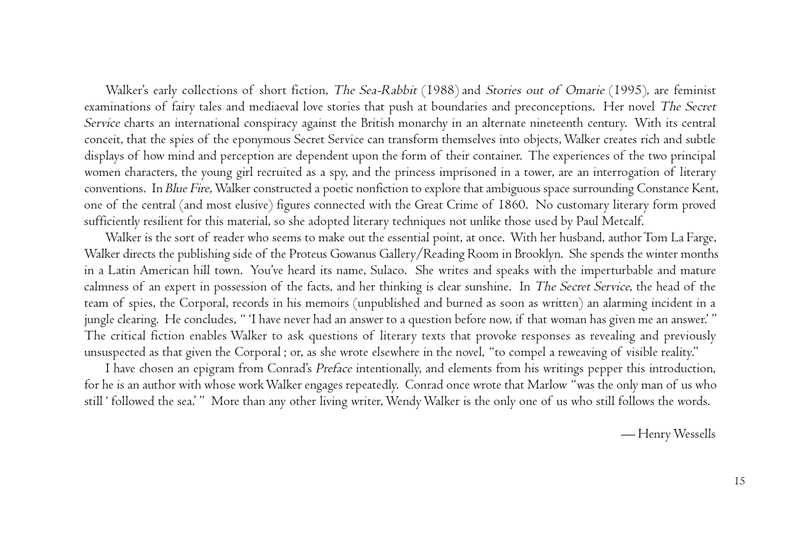 Discussing “Olaudah Equiano Crosses the Ice”, Walker said one aim was to “call attention to the lostness of the book. The slave narrative is well known, but nobody talks about the fact that Olaudah Equiano was writing this book on a journey to the North Pole” (an early journal he was subsequently obliged to abandon). Order the book here, join in the discussion! 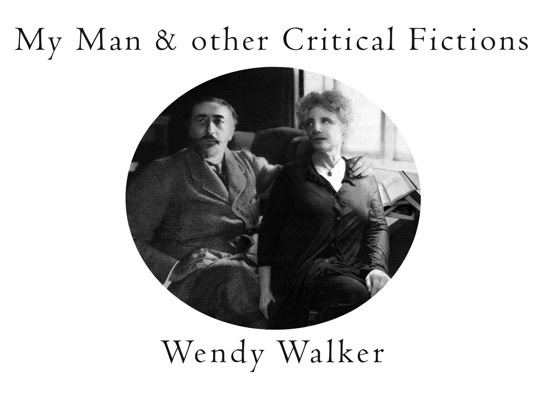 Temporary Culture is pleased to report that My Man and other Critical Fictions by Wendy Walker is in press and on schedule for release in late October. 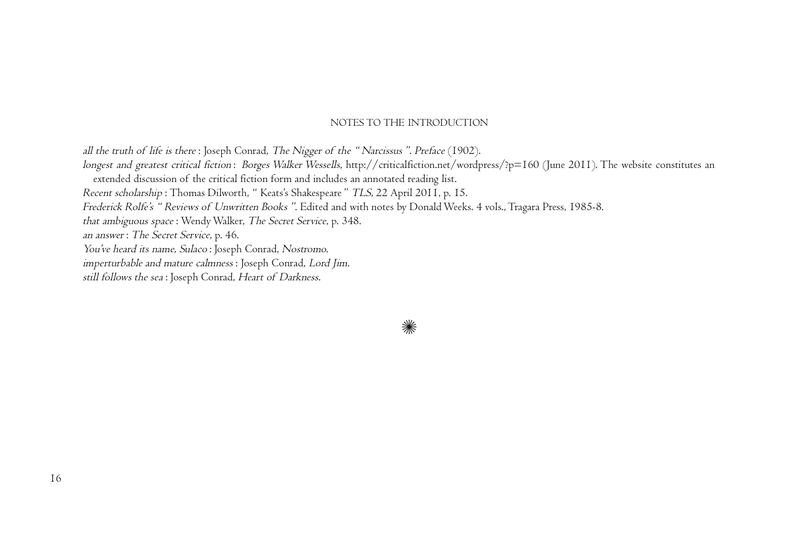 It will be a beautiful book. Janwillem van de Wetering. 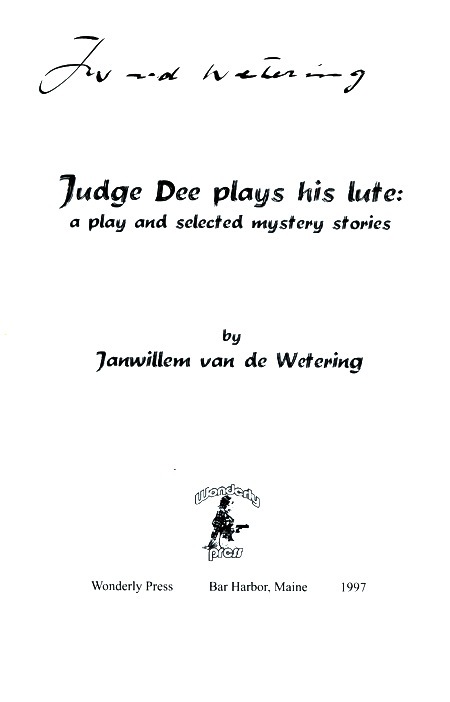 Judge Dee Plays His Lute: A Play and Selected Mystery Stories. Bar Harbor, Maine: Wonderly Press, 1997. Cover illustration by the author. The radio play that gives this book its title is a critical fiction of the life and writings of R.H. van Gulik, Dutch sinologist, diplomat, and detective novelist, in the form of a vision or daydream at van Gulik’s funeral. It was the starting point for my discovery of the writings of Janwillem van de Wetering. His novel The Japanese Corpse (1977) includes a character based upon van Gulik, who was the Netherlands ambassador to Japan at the end of his career. 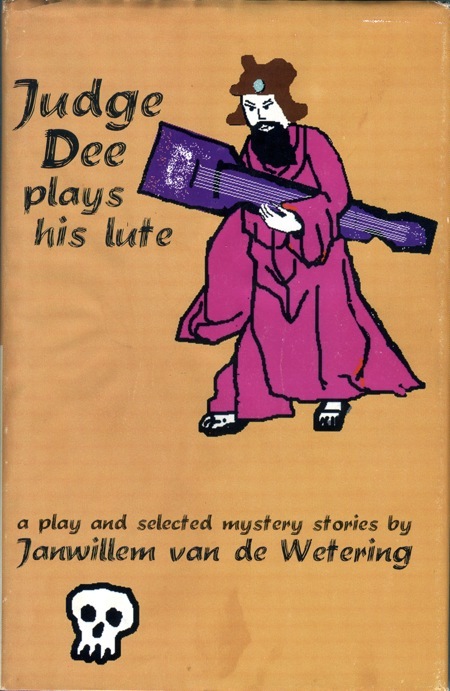 I came across a copy of Judge Dee Plays His Lute a few months after writing a lengthy article on van Gulik (available here). I wrote to van de Wetering and in the course of our correspondence* interviewed him for an issue of AB Bookman’s Weekly published when he was guest of honor at Bouchercon in 1998 (that article is available here). We first met at the convention, where as guest of honor he was to be interviewed by Carl Hiassen. After lunch, he, remarked, Now it is time for the bear to dance. That phrase lodged itself somewhere in my memory, colliding with recollections of the Zen fable ‘Ten Bulls’ and aspects of the detective story, and so my own readings of van de Wetering’s novels and memoirs prompted me to write — very, very slowly — “Ten Bears; or, a Journey to the Weterings (A Critical Fiction)” (The New York Review of Science Fiction, October 2003; collected in Another green world, 2003). For me, as writer and as reader, critical articles are (sometimes) simply not sufficient response to the many pleasures and challenges that another writer’s work elicits.